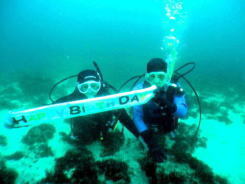 体験ダイビング INTRODUCTORY DIVING! Take it EASY! Copyright(c) yellow fin. All Rights Reserved.